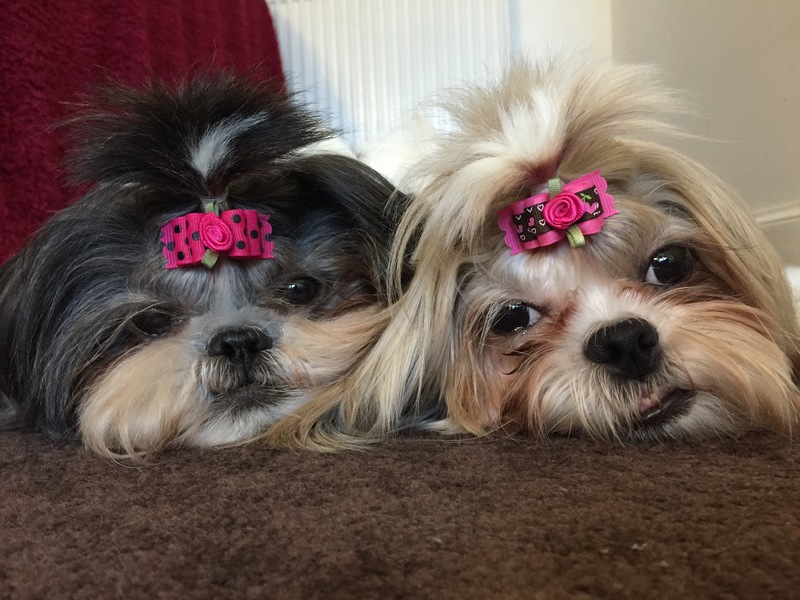 Pixie and Roxy are wearing our new Pink bows today that we got from Cynthia Dog Bows! We love them! The colours suits them well!